A United Nations gathering centered on “countering the world drug problem” has given the international coalition backing an attempted coup in Venezuela—which includes the United States, Colombia, Canada and others—a stage on which to criticize the current Venezuelan president’s legitimacy through the terms of the drug war. The 62nd session of the UN Commission on Narcotic Drugs (CND), held in Vienna from March 14 to the 22nd, coincides with a months-long, US-led campaign to unseat Venezuela’s left-wing president, Nicholas Maduro. The coalition has imposed economic sanctions and recognized an “interim president” Juan Guaido, who swore himself into office on January 23, as the country’s legitimate leader. 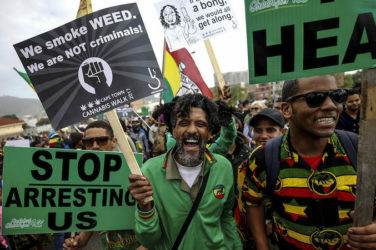 In contrast, Venezuelan Minister of Foreign Affairs Jorge Arreaza outlined the country’s drug control policy “that allows for reducing the risk factors associated with the illegal consumption of illicit substances, and ratified that the country is not a route for drug trafficking,” as reported by teleSur. The Venezuelan government is undoubtedly involved in drug trafficking, which implicates high-ranking officials, as well as family members of the president. But scholars, journalists, and activists have also denounced the US-led coup of a corrupt government. Arreaza, noting how “the government of the US has threatened our people with a military aggression, with a use of force violating the UN charter,” claimed that “the undermining of multilateralism [by the US-led anti-Maduro coalition] affects the fight against drugs” in Venezuela. Venezuela’s opening statement transcript is still unavailable online. But Coletta Youngers, a senior fellow at the Washington Office on Latin America and a senior associate at the International Drug Policy Consortium currently attending CND, told Filter in an email that “Venezuela, which spoke early on, also attacked the US.” Additionally Russia, an ally of Maduro, alleged that “Canada, the US and Uruguay had no moral authority to participate in the CND (due to their cannabis policies),” according to Youngers. Members of the international coalition—including a number of Latin American countries, the US, Canada and France—staged a walkout while a Venezuelan spokesperson delivered the country’s remarks. The expert on Latin American drug policy considers the verbal sparring to be “Lots of fireworks! But of course little in the way of substance.” Others, like The Grayzone journalist Anya Parampil, find the anti-Maduro coalition’s rhetorical sniping of the Venezuelan regime’s involvement in drug trafficking to be hypocritical. “It’s comical that the US would grandstand at the UN in this manner while blatantly violating the international body’s founding principles (sovereignty & self determination)” in their attempt to overthrow the Maduro government, tweeted Parampil. “Drug-Free Communities” Got $90 million from Trump. What Exactly Are They?